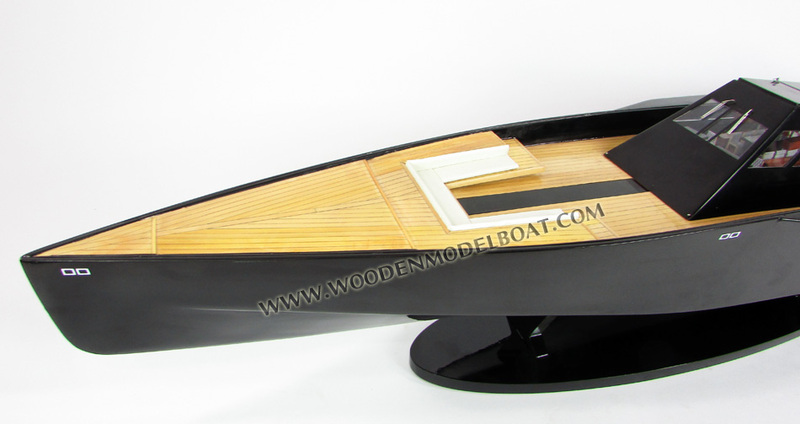 Our model is hand-crafted from wood with planks on frame construction and black painted. This model is not a kit and ready for display. 118 WallyPower is a 118-foot (36 m) luxury yacht with a maximum speed of 60 knots (70 mph, 110 km/h) produced by Wally Yachts. 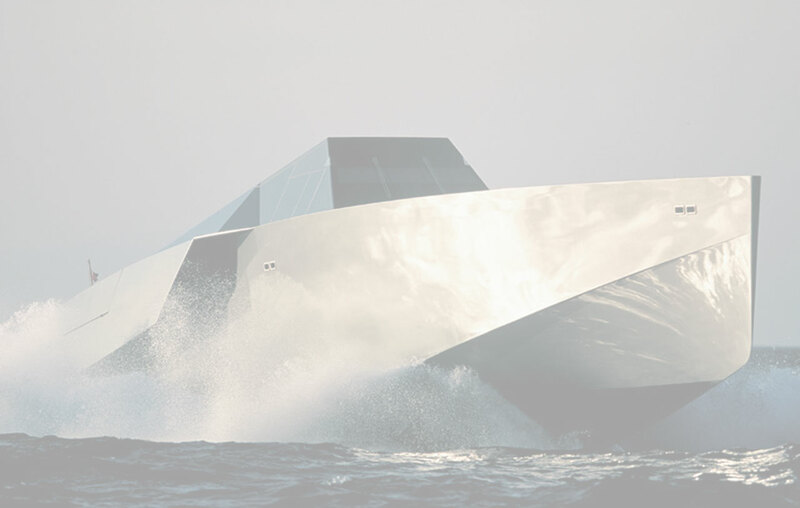 The yacht is narrow and angular in design with black glass housing, driven by three Vericor TF50 gas turbines generating 5600 hp, each driving a Rolls-Royce Kamewa water jet, two steerable outboard and a non-steering booster on the centerline. The steerable water jets also have a diesel engine input for a 370 hp (280 kW) Cummins diesel, and are thus Combined Diesel or Gas Turbine (CODOG). The total power output it 16,800 hp. One 118 WallyPower has been constructed, and is in the Mediterranean as of 2008. The hull of the 118 WallyPower is the result of an extensive R&D program including tank testing at the SSPA facility in Gothenburg, Sweden, and smoke testing in the Ferrari Wind Tunnel Facility in Maranello, Italy. 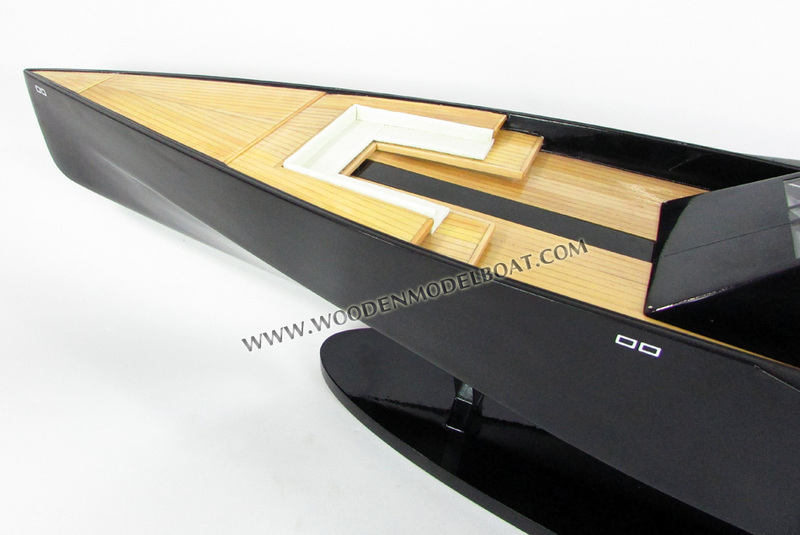 It is stable at speed as a result of the deep V (22 degrees) hull shape and a straight stem bow designed to pierce waves. The air inlets of the gas turbines were optimized to minimize any turbulence and back flow of the exhaust gas on deck and living areas. The bottom of the hull is solid fiberglass. Topsides, from the waterline up, are hybrid fiberglass/carbon composite with balsa core. The deck is a Nomex/full carbon composite. 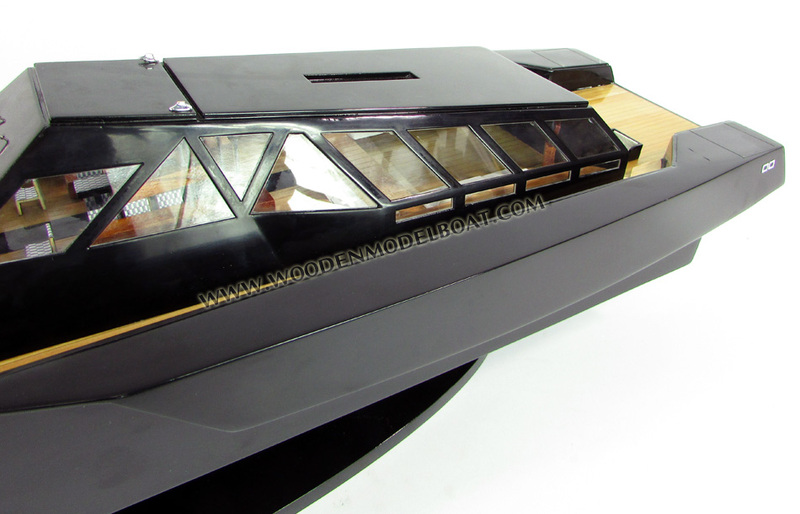 The deck superstructure is made of a carbon frame to which glass panels are glued. The glass is composed of Lexan and a triple laminate of glass. The interior bulkheads and cabin soles carry no structural loads, so they are made of thin wood and laminate veneer skins with cores. The bath fixtures and dining tables are made from carbon composites to reduce weight. The paint finish is metallic dark green, and changes reflections and colour depending on the light and landscape. The 118's deck, cockpit, navigation, dining and saloon areas have been designed as one continuous element. The open space incorporates three areas, from stern to bow: the saloon, the dining/seating area, and the navigation cockpit. There is a 360-degree view from the dining area. Underneath the 8-place dining table is a skylight which illuminates the lower corridor. The dining and lounge cockpit is forward of the superstructure for privacy, and away from the heat of engines. Two fore dining tables can be mechanically lowered into place in the bow. 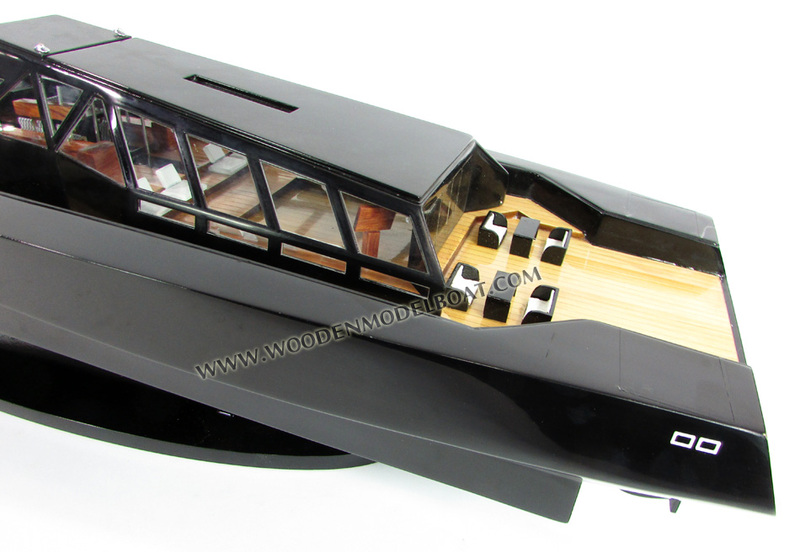 The deck of the Wally 118 has a hidden crane and compartment for a tender. The boat also features 6 plasma screen TVs. Inside, the owner’s stateroom is forward, lighted by a top skylight, and has a king-size bed and side cabinets and his and hers en-suit bathrooms. Two identical guest cabins have queen-size beds and en-suite bathrooms. The stainless steel galley (kitchen), which includes the crew mess, has an oven, stove, television, and refrigerators. The 118 WallyPower has appeared in popular UK car programme Top Gear as well as the movie The Island.